Siegbert Rampe, was studying cembalo, pianoforte, organ and composition with Kenneth Gilbert, Ton Koopman, Ludger Lohmann and Helmut Lachenmann, and other teachers in Stuttgart, Amsterdam und Salzburg. He performs as a soloist and in chamber concerts, and is now increasingly also conducting. Since 1988 he has directed the baroque orchestra Nova Stravaganza formed by him (until 2002), since 1998 until 2002 he has conducted the music festival Köthener Herbst (Anhalt, Germany). Rampe recorded more than of 65 CDs (EMI, MDG), with piano works and concerts by Mozart (GA), Beethoven, concerts for harpsichord, oboe and violin, and the »Musical Offering« by J. S. Bach. His recordings have won several prizes, including the Diapason d'Or, The German Record Critics’ Award, Echo Klassik, and others. His dedication to the music results also in numerous musicological works. For example a new generation of the total edition of older music, (Weckmann 1991, Froberger 1993 et seq., Krieger 1999, Muffat & Ebner 2003., Lübeck 2003., Bach 2003 et seq., Sweelinck 2003 et seq., Rameau 2004) and several books. 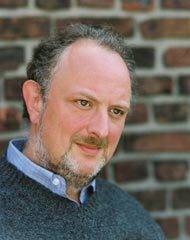 He is Professor for historic keyboard instruments and for Old Music at the Folkwang Academy in Essen (1997-2004), at the University Mozarteum in Salzburg (2000-2003) and at the Arizona State University, Phoenix/USA (since 2005).